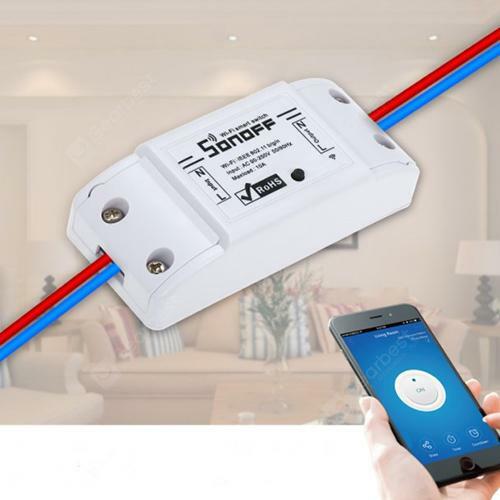 Sonoff Easy Micro-connection Remote WiFi Timer Switch Smart Voice Control - MILK WHITE w cenie $6.66 | Chińskie kupony rabatowe, zniżki i okazje! Więcej informacji o produkcie: SONOFF BASIC smart switch provides you with perfect intelligence control solutions for your home or workplace. By using the free “eWeLink” APP wireless control, help simplify your life so easily. Everything is under your control.